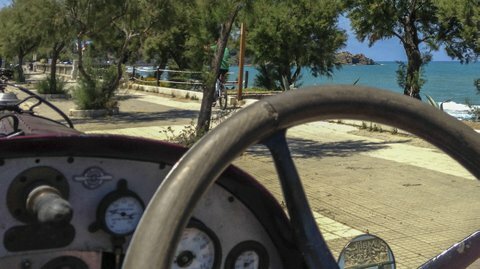 Welcome to the pistons gallery. 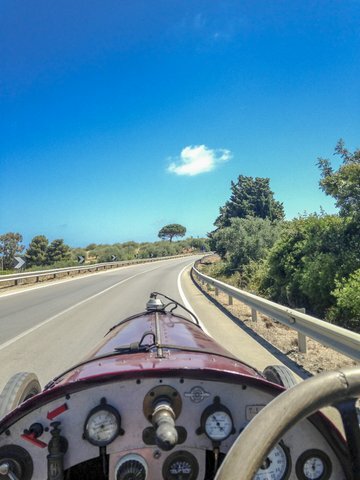 Open road for Clive’s Peugeot 130 mph possible! 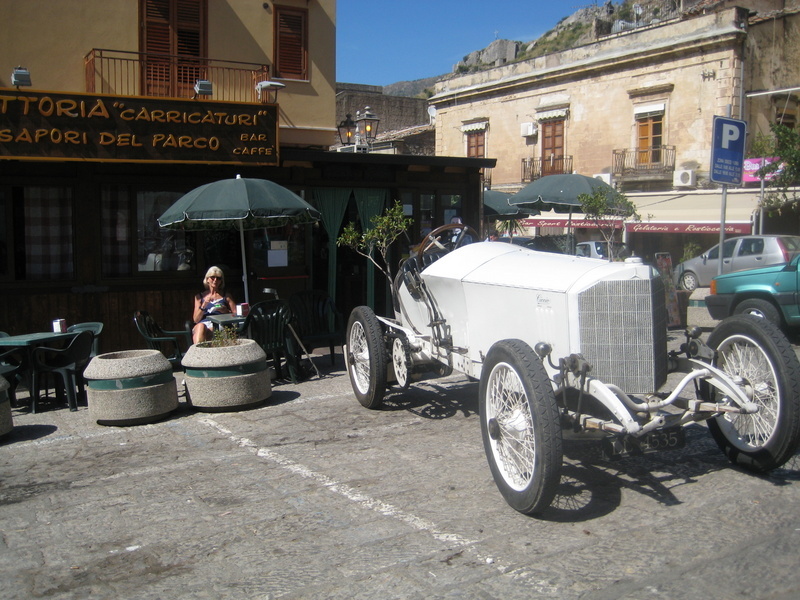 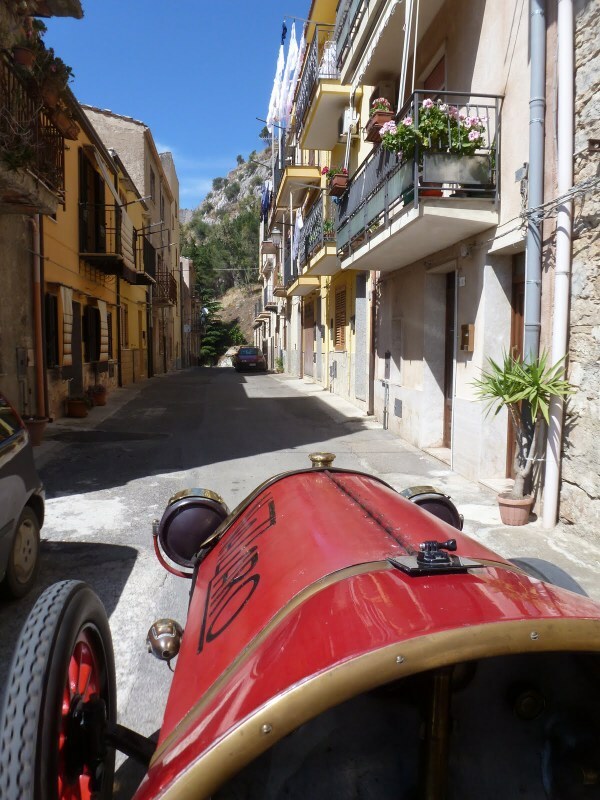 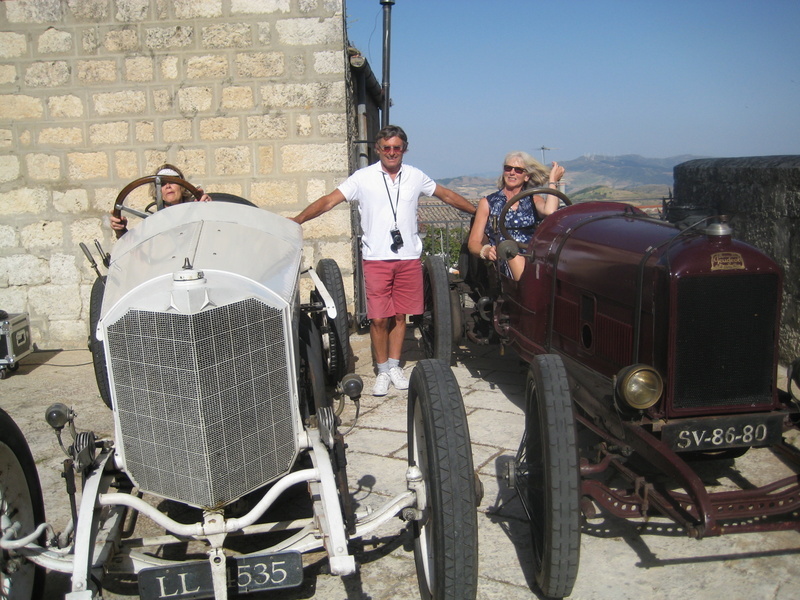 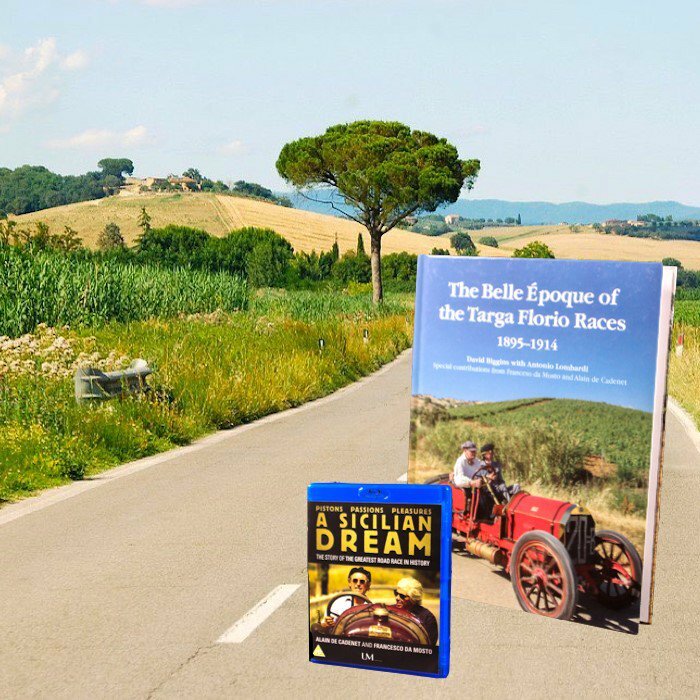 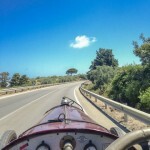 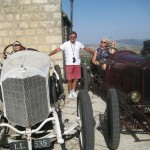 We took 5 period cars to make the Trailer including the 1898 DeDion which was Vincenzo’s first car. 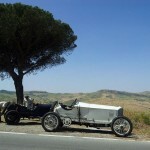 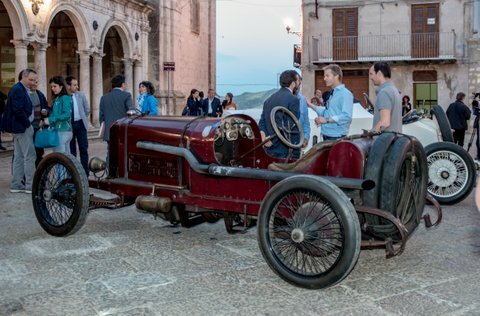 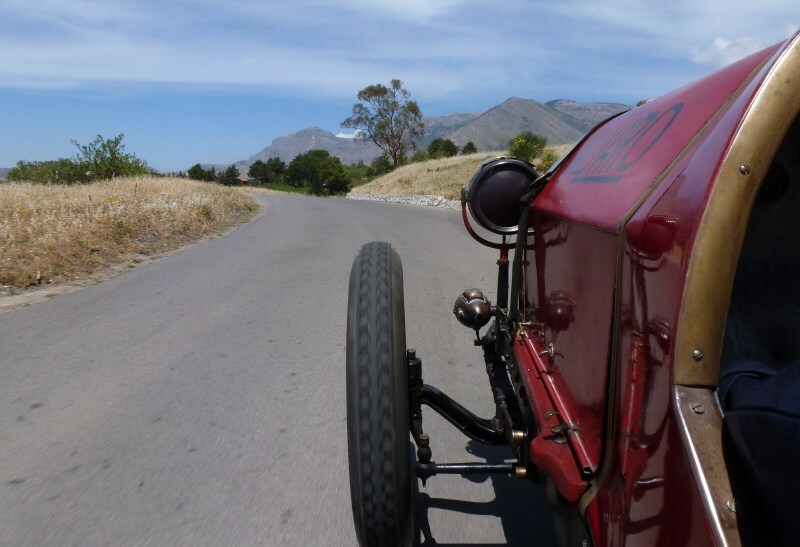 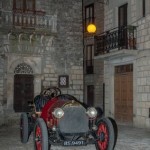 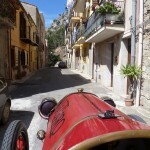 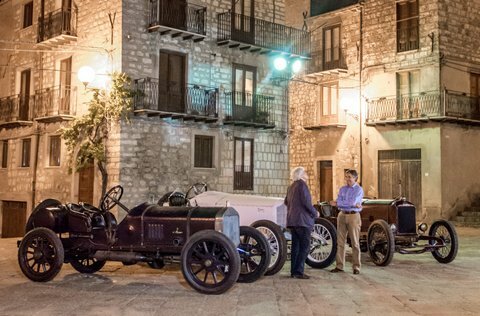 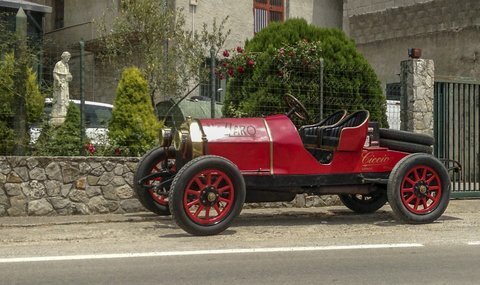 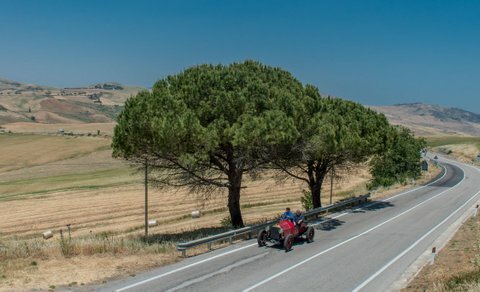 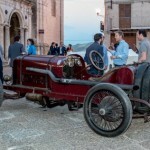 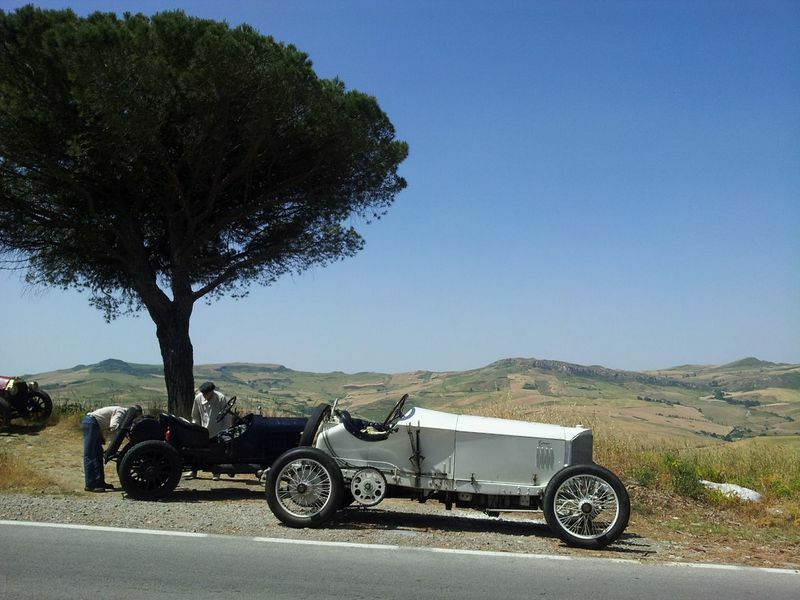 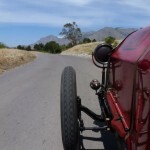 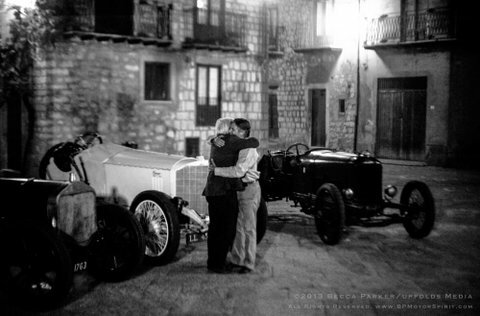 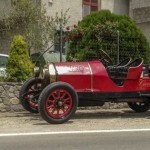 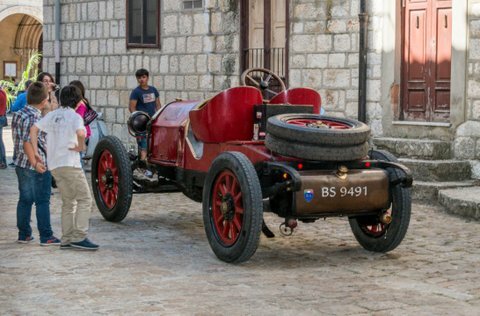 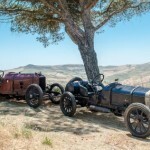 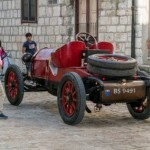 The Fiat and Nazzaro are both sister cars to the winning cars in 1907 and 1913. 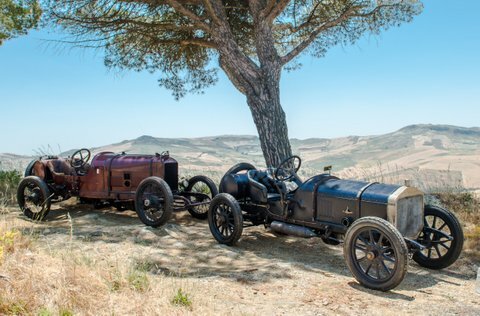 The original winning cars are lost. 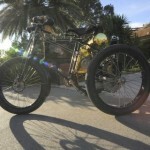 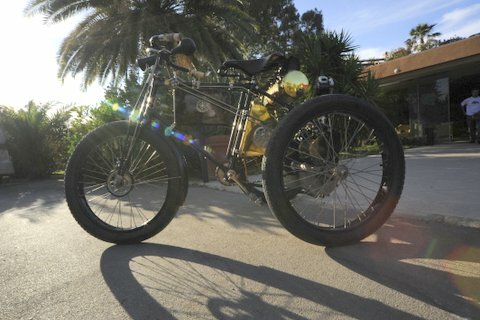 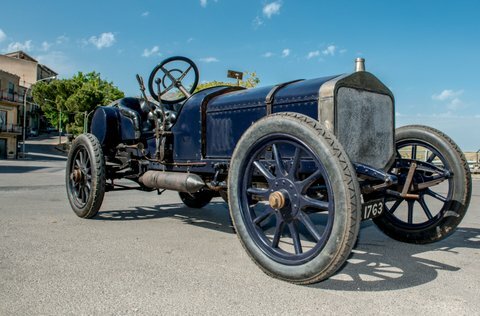 The 1910 Straker Squire is a Brooklands Racer but the original engine was missing. 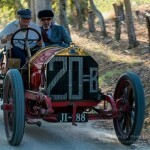 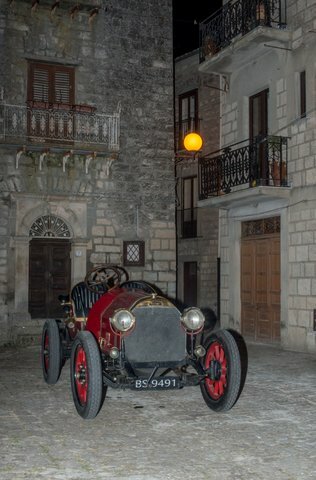 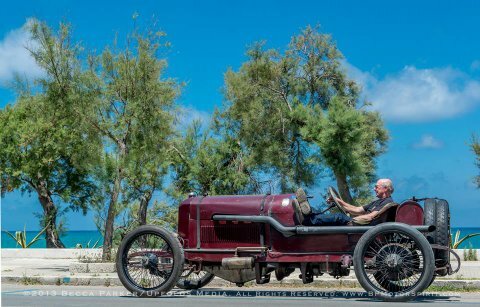 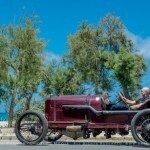 The 1913 Peugeot is a genuine chassis with a 10 liter Hall Scott aero engine. 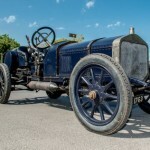 The Daimler Mercedes Rennwagen (the Germans did not like the french Grand Prix term) is a recreation of the Lautenslager car entered for the 1913 Le Mans event. 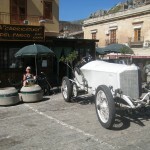 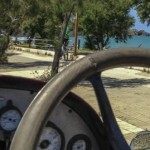 It is based on original mechanical components including the correct 29/95 six cylinder aero engine developed for WW1 . 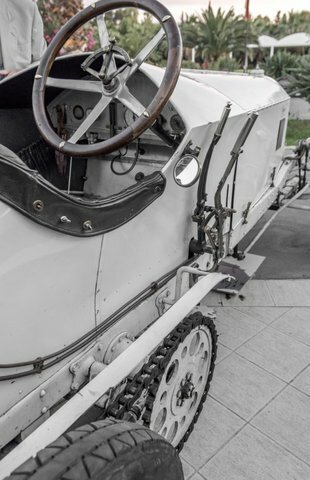 A rule change by the french (as always) reduced capacity in the 1914 grand Prix to 4.5 litres. 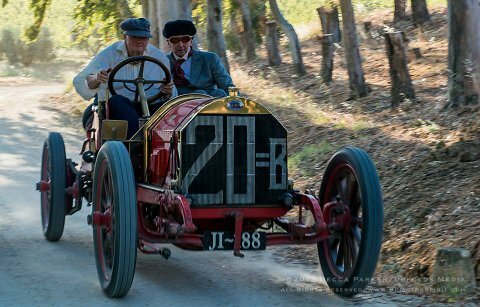 The Mercedes team responded by converting the 6 cylinder 28/95 engine to 4 cylinders and entered 3 cars which beat the French car of Baillot. 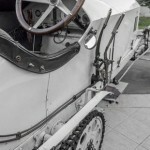 There was no applause!The Kaiser declared war 2 weeks later….